Holder of Lifetime Acheivement Award of The Spiritualists' National Union. Holder of the Award of Merit of The Spiritualists' National Union. Holder of the Union's Long Service Award of The Spiritualists' National Union. Judith has been aware of the Spirit World since being a small child, but as none of her family understood mediumship, she was not encouraged to develop her gift. She became involved in the Spiritualist Movement after her marriage to Barry, and to quote Judith " It felt like coming home". 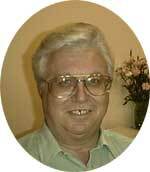 Her mediumship unfolded through sitting in both Home and Church Development groups, where Trance Mediumship was spontaneous and immediate. She began taking Services in 1982 and very quickly found herself busy traveling around the country serving Churches. She undertook an in-depth course of study into Spiritualism and mediumship, gaining several awards, and was Ordained as a Minister of the SNU in 1992. Having worked in accounting and commerce, she quickly became co-opted into administration within the Spiritualists' National Union, first at Church level, then at District and National level. In 1996 she became the National President of the SNU, retiring, to live in Spain, in 2000. Judith is the Founder of the Spiritual Awareness Society in the Alicante Province of Spain. Her teaching began in 1985, first within her own church and then expanding further afield. 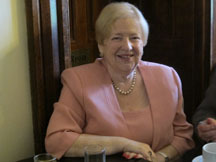 In 1986 she organised her first training Course at The Arthur Findlay College at Stansted Hall, and from 1997 to 2000 she was the Principal of this world famous and unique teaching college. After a period of ill health, Judith returned to live in England in 2006, in order to re-establish her teaching work around the world. Barry is Judith's husband and a SNU Approved Healing Medium. His interest in spiritualism coincided with Judith's and he has also worked in Administration at Church, District and National Level. He has been a practicing healing medium since 1987.